I started fishing about six months ago. This hobby began when I went out with my friends on a mini fishing expedition in the west. I was instantly hooked, no pun intended, with the thrill of having a big catch. However, I noticed that my friends were able to get more and bigger fishes than I do. Later, I found out that there’s a problem with my reel. Apparently, it is one of the most important gears in fishing according to Take Me Fishing. Hence, I started to look for the best fishing reels in the market. Similar to other fishing gears, reels vary in multiple aspects. For example, there is a particular reel depending on your purpose. Therefore, you can’t just pick the first one the pops up your mind. If you’re currently in the situation where I was before, this article is for you. I will recommend five of the best fishing reels that you can see on Amazon. To help you make the wise decision, we will evaluate both their Pros and Cons. Later on, I will also reveal which among these choices is my ultimate favorite. The first item on our list is a highly reliable fishing reel from Penn. This new and improved version of its predecessor promises to provide you with bigger chances of a catch. If you are looking for an affordable yet dependable reel, it can be one of your options. This product only uses metal materials in its body, side plate, and motor. Thus, you can be assured that it is durable and long lasting. In addition, it can withstand unforgiving sea conditions by being resistant to rust. It also includes an anti-reverse bearing technology. Meaning, your fishing line will not automatically reverse without your control. Finally, it has HT-100 fiber carbon washers that secure everything in place. Despite the positive reviews, it earned, there are some unsatisfied customers with negative feedbacks. Some clients note that due to its full metal components, it is heavier than other brands. It significantly affects the fishing performance. A few users also said that it is not for beginners due to its size and weight. However, these complaints could be subjective since only a small number of people have the same feedback. This is my very first fishing reel. Personally, I can attest that beginners can definitely use it. I like the fact that it is made of metal. Although it significantly increases its weight, it helps preserve the product for a long time. Its anti-reversing feature also ensures that your catch will be there upon rolling back your line. Because of this, I'm giving this product a 4.7 out of 5 rating. The second item on our list is another reel from Penn. This product also gets a lot of positive reviews from its users. Let’s see how it compares with the rest. One of the prominent features of this fishing reel is its Water Tight Design. Apparently, when you drop it in sea water, there’s no reason to worry about sea water getting in. In addition, it includes six bearings for full functionality. This product has a machined and anodized spool to fit more lines in your spool. Meaning, you can roll longer fishing lines compared to other reels. Similar to other products from Penn, it is also made of metal throughout with an instant anti-reverse feature. Contrary to the praises that this product gets, it also earned negative feedbacks for its downsides. First, some customers complain that it is quite tiring to use. Apparently, they are heavy enough to make cranking difficult and stressful. Also, they cause strain to the hands of some users. Also, some users find the drag too strong for live baits. 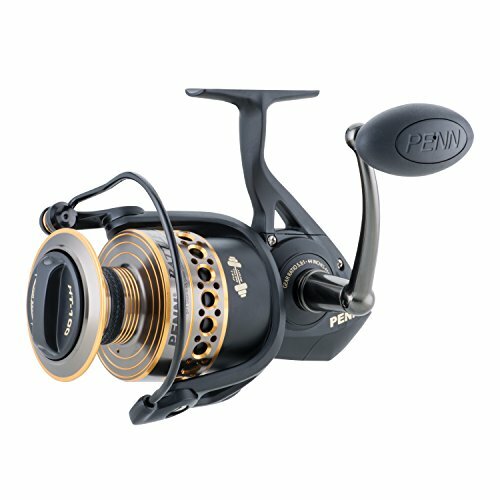 I highly recommend this fishing reel from Penn. One of my friends in fishing is using the same model, and he loves it. With this reel, he was able to catch striped bass and mackerel with ease. Its water resistant feature is also an added advantage that makes this product a hot item on Amazon. Hence, I’m giving it a 4.7-star rating. Without a doubt, you’re getting the best value for your money with this purchase. 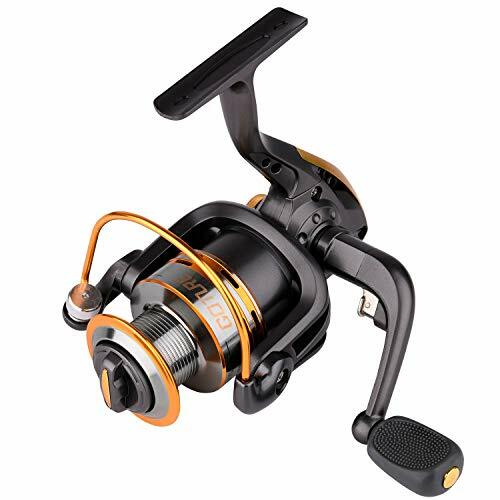 The third item on our list is a top of the line fishing reel from Kast King. The company claims that this is the fastest baitcaster in the world. It is a new model that they released just this year. 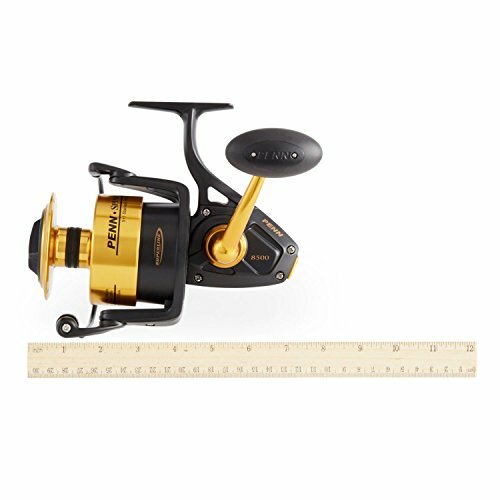 This product from Kast King might be the last fishing reel you will ever buy. With its 9:3:1 amazing gear ratio, it breaks the world record for its speed. In other words, it is lightning fast. It also includes a 12 + 1 bearing system that makes casting and rolling super effortless. Moreover, it has an exclusive four disc quality carbon-fiber star drag for better performance. Meaning, you can easily handle big fish with less hassle. More importantly, this product allows you to gain full control. Its full aluminum spool gets rid of backlashing. On the other hand, its magnetic brake system is perfect not just for hobbies but a tournament as well. To be honest, there are no negative reviews as of the moment for this wonderful reel. If I can site a potential turn off of this product, it will be its price. 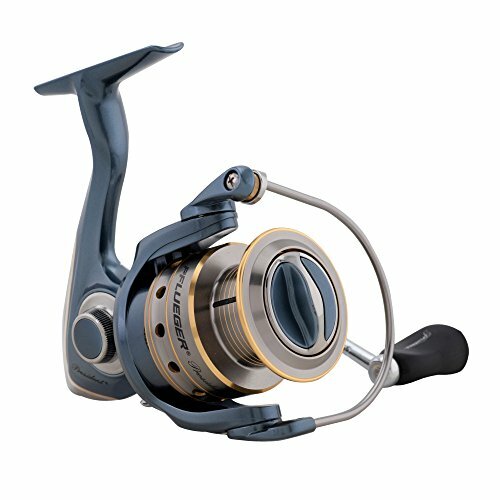 Apparently, it is more costly compared to other similar reels in the market. This is understandable though because of all the benefits that it offers. Go online and buy this product today. Honestly, if I need a new reel now, I will buy this item. It is very clear that this fishing reel has revolutionized the way we do fishing. When speed matters on your next fishing journey, this is your ultimate buddy. Despite its price, I am sure that more fishing enthusiasts will patronize it because it is still worth it. I'm giving this guy a well-deserved 5-star rating. Our next product on our list is a reliable fishing reel from Pflueger. Amazon ranked it as the top 5 in the reels category. In fact, it has an average of 4.6 out of 5-star rating with over 200 reviews. For sure, this product has something to be proud of. If you’re looking for a fishing reel that will work best with mono and braided lines, this is your guy. For better performance, it does not only contain six bearings. 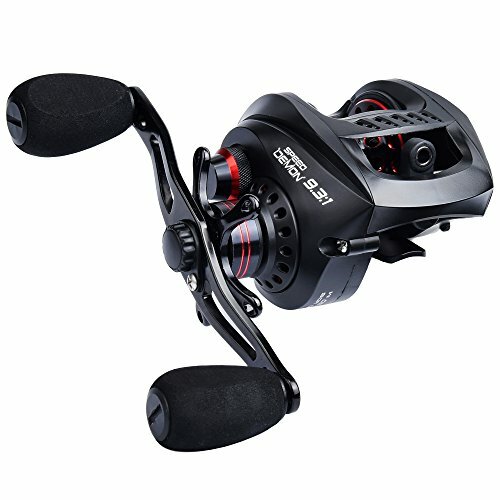 Rather, it has nine steel ball bearing that makes your fishing experience convenient and enjoyable. Its primary material is titanium cobalt. Meaning, it is relatively lighter compared to other brands. To make it even lighter, it also uses machined and anodized aluminum spool. Hence, you will feel less strain on your hand when casting and retrieving. Finally, it has one-way clutch bearing and anti-reverse feature as well. It increases your chance of going home with a big catch. Some customers note a few downsides of this product. For one, its handle grip is too stiff for some users. Despite repeated lubrication, it doesn’t help. Although it can be an isolated manufacturing defect, it greatly affects fishing performance. Also, some customers think that it is not for salt water at all. They noticed corrosion in some parts of the reel after it came in contact with water. This product is far from perfection. However, it is still a great deal. I will still recommend this product to you because of its advantages. It serves your purpose of having a reliable and durable fishing reel. Although there are a few Cons, they are all negligible compared to the benefits that you can enjoy. For this, I’m giving this product a 4.4 out of 5 stars rating. Finally, the last product on our list is the flagship reel from Pisfun. Available in multiple series depending on your purpose, this product brings a lot of features that you may like. If you’re dealing with rough waves and strong fishes most of the times, this product could be of help. It boasts of rugged graphite frame and rotor that can withstand rattles and tensions wherever you fish. Also, its double-ionized aluminum spool makes it easy for you to maneuver and control. If you’re tired of products that quickly corrode, switch to this fishing reel. Apparently, it is ideal for both fresh and saltwater. Finally, it offers 100% satisfaction guarantee. If you don’t like it, you will get your money back with no questions asked. It may be tempting to see the benefits of using this product. However, it also has a few Cons. Its handle arms are a bit loose. Despite a few tries of tightening it, they continue to wobble. Another complaint is on its sticky bail flip. It gives you a lot of hard time while fishing. Finally, a few customers note that reeling is not as smooth as other brands. Despite its downsides, this product deserves a 4.3-star rating from me. I like the fact that it is made of graphite frame making it light yet durable. Also, it's perfect for an enthusiast like me who are exploring both sea and fresh waters. Since it can resist corrosion by seawater, you don’t need to buy another reel to serve this purpose. Similar to what I mentioned, selecting the best reel is a daunting task. You need to equip yourself with the knowledge of what to look for. Through this, making the right decision will be a lot easier. I have summarized below some of the things that you need to bear in mind when choosing a fishing reel. According to HUK Performance Fishin﻿g, see to it that your handle has no backward motion. You can test this by moving your handle back manually. If it does, move on to your next prospect. You need to remember that your fishing lines will be rolled over the spool of your reel. Thus, make sure that you have enough room for up to 900 yards of fishing line. Angle Fir﻿e explains that the amount of line you need also depends on your purpose of fishing. Furthermore, the type of fish you intend to catch is also a major consideration. Without going into the technical explanation, the rule of thumb when it comes to the bearing is simple. According to Fishing Talks, the more bearings, the smoother it is to cast and retrieve your fishing line. Hence, buying products with more bearings are beneficial. There’s no doubt that there’s no inferior model among the reels on our list. However, there are two that stood out - the Penn Spinfisher V Spinning Reel and the Kast King. For me, both can be your companion wherever your fishing line brings you. However, the ultimate star for me is the Kast King Speed Demon 9.3:1 Baitcasting Fishing Reel. For one, it is the fastest baitcaster not just in our list but the entire world. Second, it has the best bearing making it very easy to cast and retrieve your fishing line. More importantly, it gives you full control with its magnetic brake system and 9:3:1 high gear ratio. I hope I was able to help you make the right choice for your fishing reel. I hope we can fish together one of these days and exchange ideas. Let me know how this article helped you by leaving your comments below. Also, please share this article with other fishing enthusiasts.